We continue today's giveaways with more fabulous product from our NEW spring collections! Enchanted Garden is a whimsical line full of magical charm. 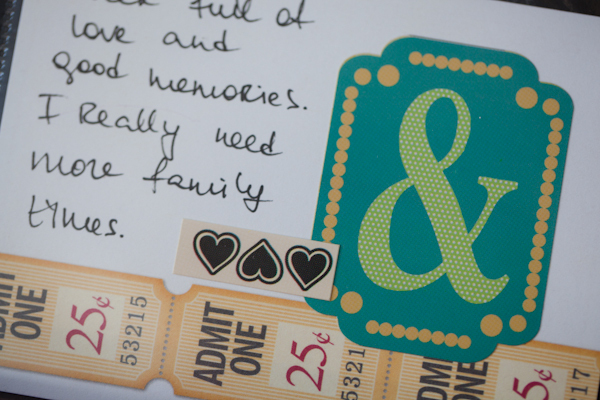 Perfect for scrapbooking all of your enchanting memories! Be sure to enter today to win all of the papers in the Enchanted Garden collection plus a Combo Sticker! 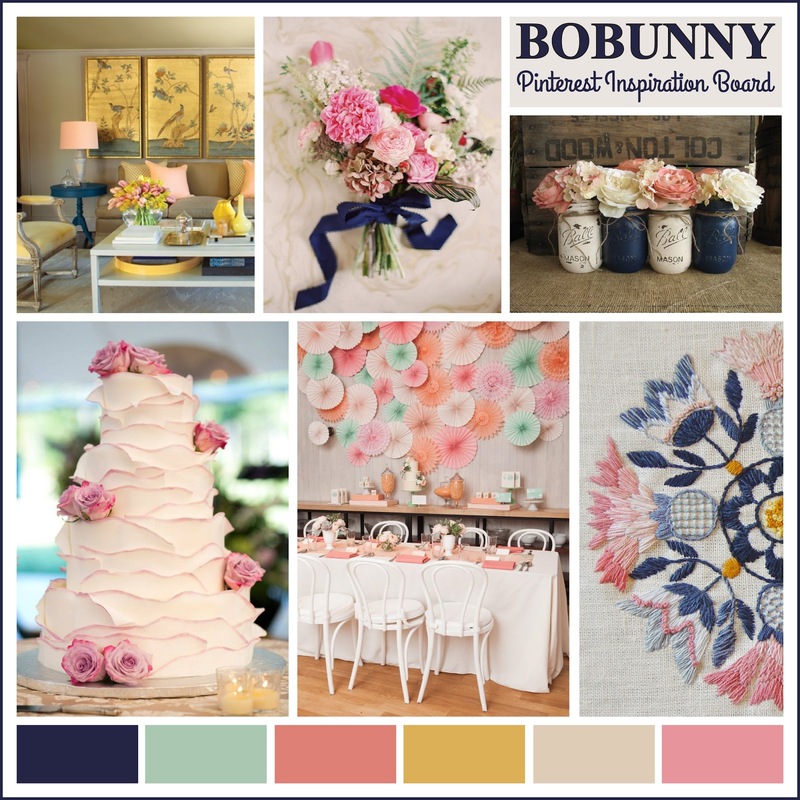 Enjoy this fabulous pinterest inspiration board! 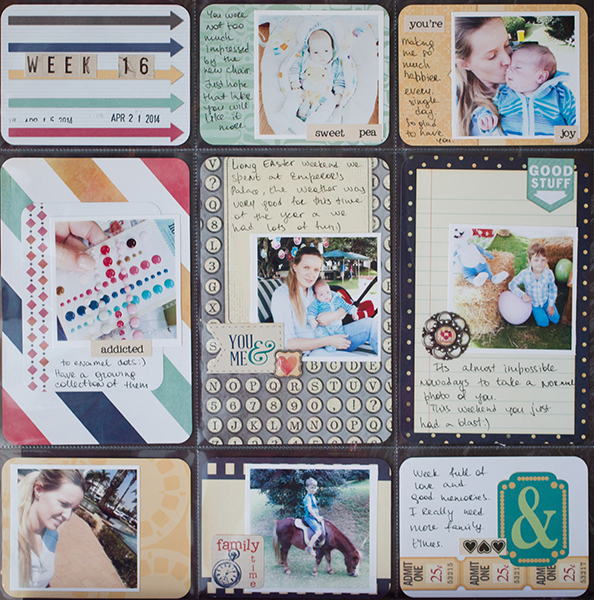 The design team has used this board to create some fabulous Misc Me for you today! You can see both sizes (12X12 & 8X9) showcased today! The moment I saw the Pinterest inspiration board, I knew it will perfectly fit Modern Miss colors, so I grabbed my Misc Me cards and started this spread. I continue to fill my cookbook with recipes. Summer is coming and will be a lot of berries soon - so it's time for the "sweet" menu! 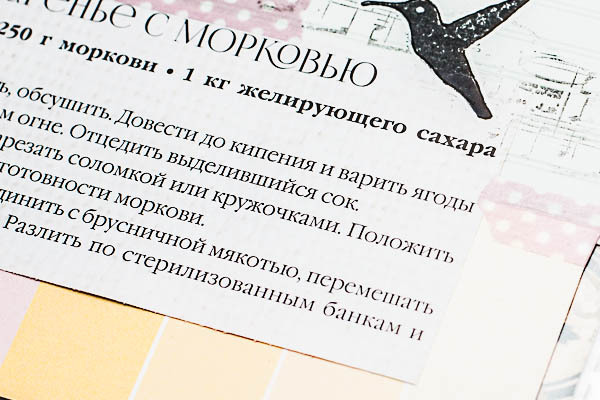 Of course, the color palette of these pages is taken from the Pinterest inspiration board. And it seems to me, the theme of cakes and jam is perfect too! To create my own cookbook based Misc Me is very convenient. 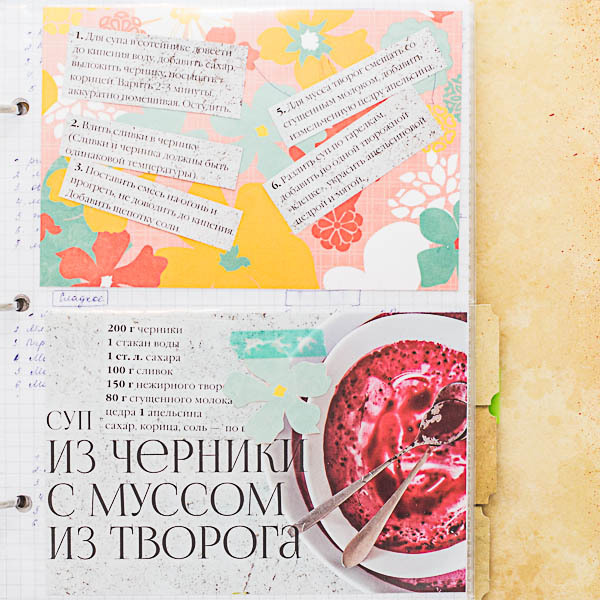 I just picked up the paper for the background (lower layers visible in the photographs as well - the previous pages), cut out recipes (which I've tried and I want to leave) and inserted it all in the pocket! A couple of minutes and you're done! One background I made from two pieces of paper - blue and yellow-red - just glue them together and connected them to the top with the washi. Small details like fluttering birds and flags help add a good mood while cooking! I make greeting cards and I'd use this collection for my cards. I love the blue/green color. I would use this on some full page LO of my gran kids and summer pages and for making cards! I'd make a beautiful mini! I would love to use this to make some amazing cards!! Layouts, a mini, but first: a fairy photo shoot with my daughter. I have the most precious 2 year old grandson, who loves to garden with his mommy. I would scrap all those amazing photos of special moments shared under beautiful skies, enjoying what God created! I love the Enchanted Garden line! I would definitely use it to scrap my dream-come-true vacation to Scotland - the colors are absolutely perfect, and for me, the whole country seemed enchanted! The Enchanted Garden line is beautiful..A mini is always a great use of any wonderful paper collection. Laura Denison's Springtime Fairy House is a fabulous way to use this. A book of fairy spells and magic would be cute too., or a collection of lovely cards presented in a box made from the papers. This would also make a fantastic baby album.. adding some pink for a girl of course. Or even a fantastic journal. Love your ideas, Snowbear...especially the book of fairy spells and magic! Have you made any of Laura Denison's patterns yet? I just finished one of her birdhouses and have the Tea Shop to work on next. Love the colors! This collection would be perfect to scrapbook our 50th anniversary beach photos from Riviera Maya! I would make a mini album with Enchanted Garden, so beautiful. I would create layouts of my daughter with this line. Blue is her fave color. I am redoing an old roll top desk in creams, corals, and turquoises. I would love to use Enchanted Garden for some of the inserts I plan to do. I would make a Mother's Day layout for my awesome Mom who loves everything Enchantingly Magical! If I won, I would use these products for card making. I would totally make a scrapbook. This would be perfect for what I'm wanting to do! I love the colors & those Swirls!! I would make pretty Greeting Cards. Awesome collection! It would be perfect for a mini album I'm planning to make about my boys, or about our latest vacation. thanks for the chance to win! I love the Enchanted Garden collection! It is so dreamy and magical looking! I would probably use it to make mini houses and a garden mini album. 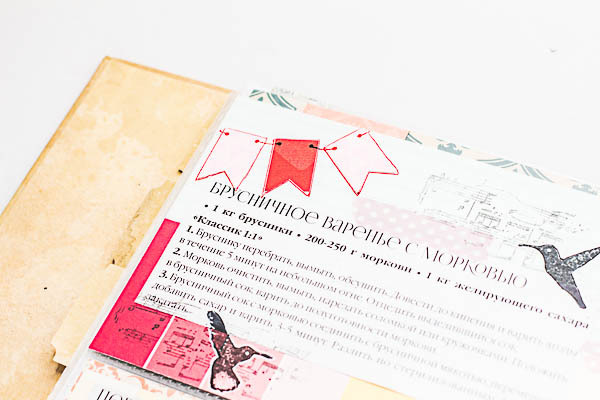 Pretty layouts & giveaway papers. Beautiful projects. I would love to win Enchanted to create a beautiful ballet mini-book for my 3 year old's 1st year of ballet. I'd do all my daughter's fairy princess pages! I need to get my recipe book done! Ooh I'd love this!! I'd scrap some holiday pictures with my family, they seem perfect for summer and holiday! 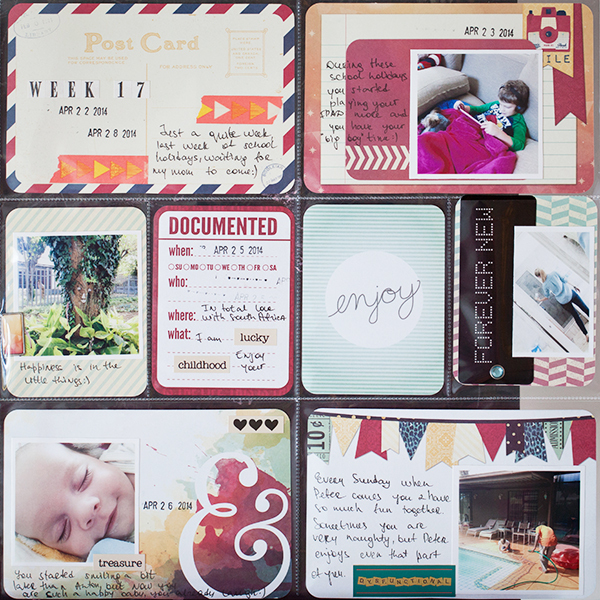 Such a beautiful collection, perfect for scrapbooking photos of my own garden. I could use this paper for scrapbook layouts. Love it. This product and the project shown have totally inspired me! I'm headed to the store today to get supplies to get started on my day-to-day album. Thank you for these opportunities. Fabulous collection, this would make a great mini album!!!!! thanks for a chance to win!! Beautiful layouts from the DT, wow!! I would use this collection to make cards and layouts of my grand-daughters! I love this gorgeous collection and would use it to make birthday cards and girlie scrapbook pages. Those colors would be perfect for my daughter's 8th grade dance LO!!!! I'd love to use the Enchanted line to scrap my "princess" granddaughters and their antics. I very much like the colours , they would be so great to do my summers pages of the grandchildren.Would also make great gift mini albums. I would mix it in with my scrapbooking goodies. This would be perfect for scrapping pages of my 2 year old niece. Oh my such beautiful colors and pattern..I could have so much fun making cards with these papers. Beautiful papers and colors! I'd make lots of cards and ATCs! 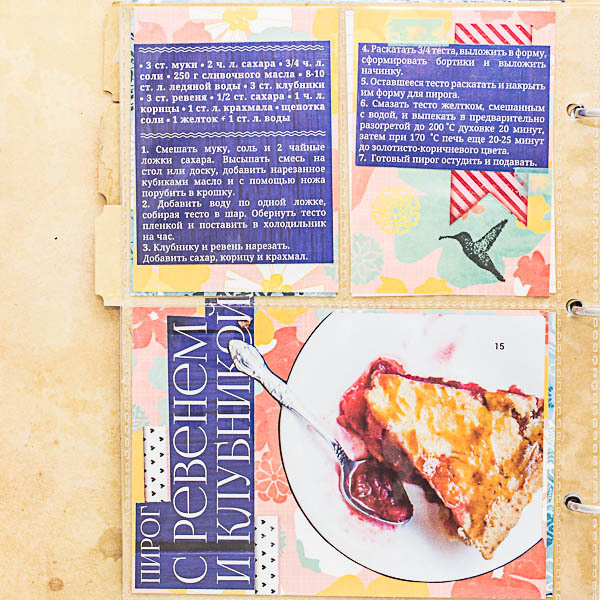 I would create awesome pages for my project life!! Love this set!! I just bought a mason jar chipboard mini album. This would make a beautiful blue mason jar, love this color! Ah, this is the one I've been waiting for - Enchanted Garden is my favorite. One thing I would do with it is a layout of my grandkids and our "fairy garden" - in our case a "frog garden." So many beautiful projects and wow do I love this collection! The colors are my favorite and I would make lots of magical cards! I have my first grandchild on the way so this would make an awesome mini for him or her ! I would use it to make beautiful cards! I can see beautiful layouts of my two granddaughters. Love the colors in this collection. Thanks for the chance to win. 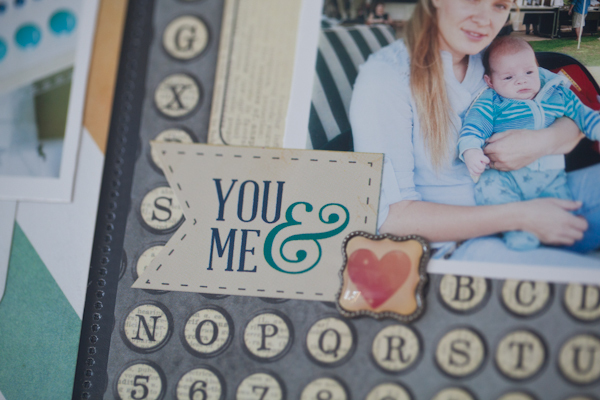 I would definitely be using these yummy papers to create some wonderful layouts of my kids. Loving the colours! Thanks for the chance to win!!! Lovely colors! I'm a card maker (mostly), so these would be used to make some beautiful feminine cards! I see that I am not the only one who loves these gorgeous colors! I have been planning a new album in memory of my mom, and this collection would be perfect for that album. Bobunny always has such beautiful designs and colors! I love making cards for Operation Write Home as well as for my children's school. As Home & School Leader, I write a lot of thank yous! Such a gorgeous collection! I would make lots of layouts and cards with it. I would use this beautiful collection to make beautiful cards for family and my snail mail friends. Thank you for giving a chance to win this beautiful collection. Love this collection! Just added a bunch of it to my wishlist! Gorgeous collection! It would be perfect for my summer holiday mini album. Pretty collection, I would make some layouts of my daughter. I would make cards to give with my crocheted prayer shawls! I LOVE the colors of the collection. I would make a bright whimsical layout of my girls. Love the Enchanted Garden. The colours are lovely and I know I would scrapbook pictures of my daughter and I at the gradens in Enlgand etc. These creations are awesome and so is this yummy new collection!! Thanks for the chance to win these goodies!! P. S. Oh, I would love to create cards and layouts....fun!! Beautiful prize which I thank you for the chance of winning. I adore this collection as the colours are just gorgeous. Adore this collection and love the daily pages and the receipt book! Love it all. Would love to win. I love the gorgeous colours of the enchanted garden papers. I'm trying to create a garden journal and these might just help me get it of the drawing board. Enchanted Garden is a gorgeous collection, perfect for making a mini album for my nephew's recent engagement to his long-time sweetheart! Thanks so much for the chance to win. Amazing inspiration as always. Thank you for that AND for the chance to win! Love seeing the beautiful designs. Thanks for the opportunity to win! Kraft is like black & white . . . .it goes with everything!!! Can't wait to use this on some layouts!! Love BoBunny and all of their products. Thanks for a chance to win some Kraft items. This is one of my favorite collections in a long time! Would love to use this for cards!! !